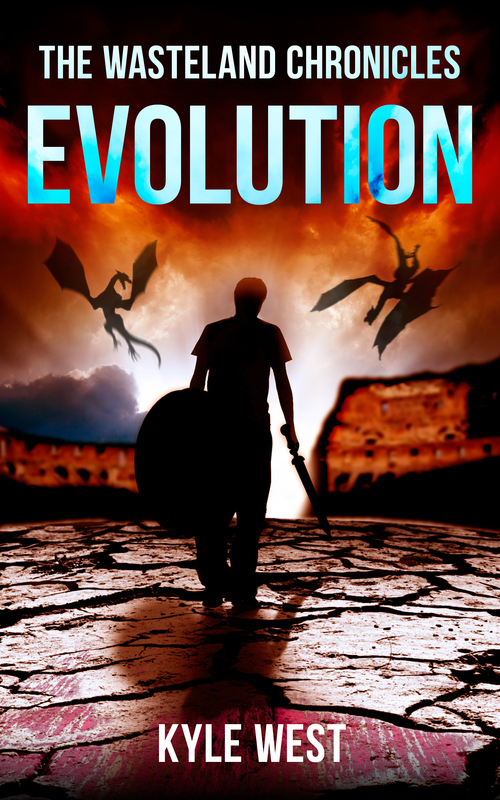 Just finished the first round of edits for Evolution. After the first draft, the book felt weaker than Book 2, but stronger than Book 1. Now, I think it has a chance of being the best of all. The book had been expanded from 48,000 words to 55,000 words…making it the longest installment of The Wasteland Chronicles to date. The end had a huge makeover – there was more tying up, and more setting the the new stage of the adventure that will be Book 4. All in all, the plot was a bit more complicated than the other two books, which might be why it’s better. I think I was able to experiment by adding several subplots that also enhanced the main plot. The first two books were pretty straightforward, road trip-like adventures. By the end of the book, though, everything starts to come full circle, and what felt disjointed at first now connects with the first two books, bringing it back to what makes the heart of the series. The xenovirus continues to evolve and do crazy things, outpacing the abilities of the characters themselves (hence the name Evolution – and also, on another level, the characters and their relationships to each other also evolve). At the end of the book, the xenovirus takes something from them they hadn’t counted on losing, and the books ends on a cliffhanger that I feel readers will love to hate me for. I plan on one more round of edits, though I feel the first 80 percent of the book will remain little changed. The ending will probably have to be tweaked a bit, but I’m fine with doing that. After that round of edits, which I will hopefully have done soon (at the earliest, next weekend), I can start all the publication steps…copyeditor, beta readers, and then publication. I wish I had more time to work on it. If I could just have one week of time, then I could have it out by this weekend. At the latest, it will be out in August…but hopefully, I can have it out much sooner than that. I haven’t had much in the way of news lately, as I’ve been busy writing and working. But now, I’ve just finished my third book in The Wasteland Chronicles. This one is titled Evolution. 1. This book wasn’t supposed to exist to begin with. Now, it kind of does. 2. Originally, the Wasteland Chronicles was only supposed to be a series of four novellas that could all be considered to be a large novel. Now, it’s going to be a series of seven novellas that can be seen as an absolutely colossal novel. 3. I originally tried to plan this whole thing out from the beginning using a super detailed outline. I got word 30,000 of said outline, only to scrap ten thousand words of it and throw my outline out the window. I guess I truly learned what type of writer I am. I am a pantser all the way! 4. From beginning to end, Evolution took the least amount of time to write. It might mean I’m getting better at this, I’m not sure. I’m certainly learning that I can write a lot faster than I used to. 5. The word count of the first draft is almost, almost, 50,000 words. I was actually expecting it to be much higher than that, and it will probably come out to be more in the end, especially if I decided to add any scenes. 6. As it stands now, the entire word count for the series is about 142,000 words. The series is about halfway done. Hopefully, I can get this bad boy edited, smack it on the bottom, and publish it as soon as possible. It would be amazing if I could have the whole series done before the year is out. I think I can manage it, but I’ll have to write like a madman to finish three books in the intervening time. My next project will probably be a prequel, entitled Darkness, and then it’s on to the last two books of the series, Extinction and Xenofall. Finishing the first draft of a book is always a good feeling! Now to celebrate with…something, perhaps.